Commissioned by the MSCC. I'm not sure if green was the only colour available. 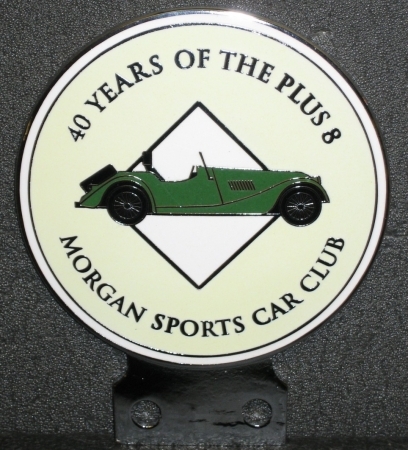 I've also seen a smaller lozenge shaped Plus 8 badge on e-bay in at least three different colours. For my 2003 plus 8, it would be nice if it said 35 and not 40! I missed the 40th anniversary celebrations, held at Prescott. these seem to be in mass production in india now sadly and available on ebay for �25, such a shame!